To simply go with a single estimate for a repair job can be a recipe for disaster, primarily because it offers no comparison for a company to gauge the final price involved. 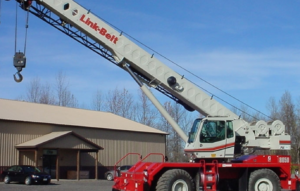 In addition, that company may not have the logistics in place to make sure that those replacement crane parts, which could be Terex crane parts or some other brand, can be sent as quickly as possible. In short, having multiple options is the best consideration. An on-site accident can be of the minor variety, something that might seemingly require a quick fix. The problem is that it may be the precursor to a larger problem or may not be detectable to the naked eye. That’s something that a quality repair estimate will be able to detect, which means that investing money in immediate repairs of this nature can be much less costly than waiting for disaster on all fronts down the road. Extending the life of a crane reduces the overall cost of purchasing new equipment and also avoids delays on a project. While regular inspections and maintenance help in this area, breakdowns don’t take such precautions into account, which means that having a source to buy crane parts online is integral to maintaining peace of mind. When you buy crane parts online, life is made easier. Yet not all companies have a level of experience that lends itself to such smooth delivery. In addition, the scope of a company’s inventory can often serve as a litmus test for their overall value. That’s because it serves no purpose for a company in need of replacement crane parts to try and work with a crane parts company that doesn’t carry replacement parts they need. The reluctance of some companies to put their trust in replacement parts is based on the belief that those replacements are somehow substandard or are simply stopgap options. However, the reality is that they’re often just as good as OEM parts, which means that there should be no dropoff in the level of quality expected when the crane resumes regular operation. In some cases, that quality even exceeds what can be found with what OEM’s offer. When those repairs become necessary or companies are simply wary of getting caught shorthanded, working with Craneco Parts and Supply is often the most simple decision to make. That’s because whether you need Link-Belt crane parts or any number of other brands, Craneco can help get those replacement crane parts to you as quickly as possible. When you buy crane parts online, orders are filled as quickly as they come in and then shipped out to all parts of the world. So, when crane parts become a valid concern, make sure that you contact Craneco Parts & Supply to get the ball rolling.